I’m not sure how closely you’ve been following the cislunar space real estate market, but NASA has been planning to build something in an interesting halo orbit around the Lagrange Point between the Earth and the moon. This station has been called the Deep Space Habitat or Deep Space Gateway in the past, but the latest incarnation is known as the Lunar Orbital Platform Gateway. Oh, and the deputy director of the Lunar Exploration and Space Program Center of the China National Space Administration, Pei Zhaoyu, doesn’t think it’s such a hot idea. Of course, Zhaoyu used language more suited to the environment of the joint European Space Agency (ESA)-CNSA conference held this week in Amsterdam, calling the planned NASA station would have “lost cost-effectiveness,” which seems to mean he doesn’t think it’s worth the money. The Lunar Orbital Platform Gateway seems, on paper at least, to be a good idea. The original goal was to provide a deep-space station to support and develop spacecraft that could take humans further out into the solar system, to Mars and beyond. As such, the station would provide a foundation and base for a future Deep Space Transport craft, a re-usable spacecraft capable of taking humans further into the solar system than ever. Zhaoyu stated that China’s plans for lunar exploration include a permanent base on the surface of the Moon itself, instead of in orbit. While, sure, we’ve been there before, NASA has not set any formal plans for a permanent lunar base. The Chinese space agency appears to believe that there’s no real benefit to an orbiting Lunar base, when a surface base offers more potential for research and has access to things like lunar regolith which could be used as a radiation shielding material. 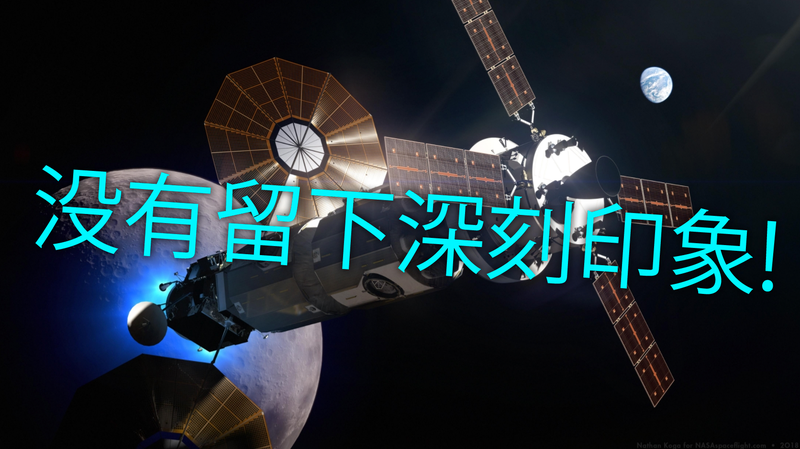 The Chinese aren’t the only ones to criticize the planned station; criticisms to the Lunar Orbital Platform Gateway are plentiful from Americans, too, including former astronaut Terry Virts, who wrote an op-ed suggesting that the planned station would “shackle” human exploration of space, as opposed to enabling it. The head of the Mars Society, Robert Zubrin, calls the station “NASA’s worst plan yet,” and argues that it’s simply not needed to accomplish any of NASA’s goals of establishing bases on the Moon or Mars, research into the asteroid belt, or further exploration of the solar system. In fact, it seems that the station could actually end up overcomplicating such missions, require more fuel use, and provide little in return. The core problem seems to be the station lacks a clear and focused mission. We already know how to build modular space stations; is building another one in another place (admittedly, an interesting place and orbit) going to get us much? Eventually, there likely will be a time for deep-space orbital outposts. But perhaps the Chinese and American critics are right, and effort is better spent getting to the places we want to go instead of building expensive orbital lobbies.